As chiropractors, we specialize in the treatment of neuromusculoskeletal injuries. What does that mean? We treat injuries that involve the soft tissues (connective fascia, muscles, tendons, ligaments and nerves), in addition to joint related injuries. These injuries occur when the load or stress on a tissue exceeds the capacity of the tissue. This load, stress or force can be acute or sudden in the case of a fall or quick movement, or subtle and over a long period of time, which we refer to as chronic over use injuries. An example of a chronic over use injury would be in the case of postural stress, such as sitting for prolonged periods of time, or a repetitive task that injures the tissues over a period of time, such as typing. Non-Drug Healthcare. We need it more than ever. The human form was meant to be well, not sick. The body was created to brilliantly adapt, but when stressed beyond its limits, it needs help. Chiropractic Care, in 1895, was established to support that premise when the first defined Chiropractic adjustment was delivered. When you review history, you will see that structural correction was acknowledged by Hippocrates! Long misunderstood, Chiropractic is a highly skilled manual therapy that restores structure to its highest level of function after thorough assessment and analysis. Each Chiropractor has a different level of skill and experience, but practices under the same belief that, in the right conditions, the body has an innate ability to heal. We are Spine Specialists. We understand that a healthy spine supports the muscles, tendons, ligaments, discs that allow for mobility, while housing the vital organs and protecting the nervous system. WOW! There are many signs and symptoms that your body has passed its ability to adapt and has slipped into a state of dysfunction or disease such pain, weakness, numbness, fatigue, decreased mobility, predisposed to injury, organ disease, and mental instability. To maintain anything, you have to consistently “undo” the regular wear and tear through daily use. Your spine is no different. That’s where making Chiropractic Check-ups a regular part of your life makes sense. Today, technology posture and electronic use, poor nutrition, sedentary lifestyle, and dysfunctional family dynamics have stressed the human form way beyond adaptation and so many need help, but don’t know where to start. Well, we have your “SOLUTIONS!” Why choose us? Dr. Julie has been providing chiropractic care for over 20 years; and has established herself as a unique practitioner in Louisville. 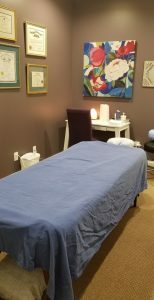 She is noted for taking extra time with her patients, utilizing modern chiropractic techniques, advanced extremity care and a variety of specialized treatments to provide you with pain-free living each day. We look forward to helping you with your health care needs. Dr. Julie is a proud graduate of Life University www.life.edu where she also served as a Clinician from 2002-2004, teaching hundreds of future Chiropractors Adjusting Technique and Case Management. She then was asked to serve as the Clinical Director during an intense period of growth and change in the University from 2004-2006 before moving to Louisville. Founded in 1974, Life University has a long history of being recognized nationally for its innovative chiropractic program and commitment to providing a high-quality undergraduate and graduate education. Life University has the distinction of being Georgia’s only highly selective chiropractic college and boasts superior programs in the fields of biology, biopsychology, business administration, computer information management, dietetics, life coaching, nutrition, psychology, and sport health science. *Ensuring that patients understand their need for Chiropractic Care. *Helping patients make informed decisions through each phase of care. *Supporting patients and their families in the Chiropractic Lifestyle. *Respecting everyone’s time and money. Did you know that patients with headaches, migraine headaches, sinus headaches, TMJ, neck pain, neck tension, neck stiffness, upper back pain, shoulder pain, arm pain, elbow pain, wrist pain, carpal tunnel syndrome, mid back pain, weak core, low back pain, slipped disc, pinched nerve, nerve entrapment, sciatica, hip pain, iliotibial band syndrome (ITB), knee pain, foot & ankle pain, heel spurs, plantar fasciitis, sinusitis, earache, allergies, asthma, indigestion, ADD, ADHD, TBI, mood disorders, anxiety, depression, poor immunity, fibromyalgia, chronic fatigue syndrome, stress, numbness, paresthesia, and neuropathy come to our office for help? What are you waiting for?